We just closed out one contest/giveaway but we thought, why not open another! Once again, we apologize to our International readers but this is U.S. only and lower 48 states only. We appreciate your understanding and we hope to have more contests soon. Up for grabs this round is the ASUS ZenWatch 2 (the larger one WI501Q)! 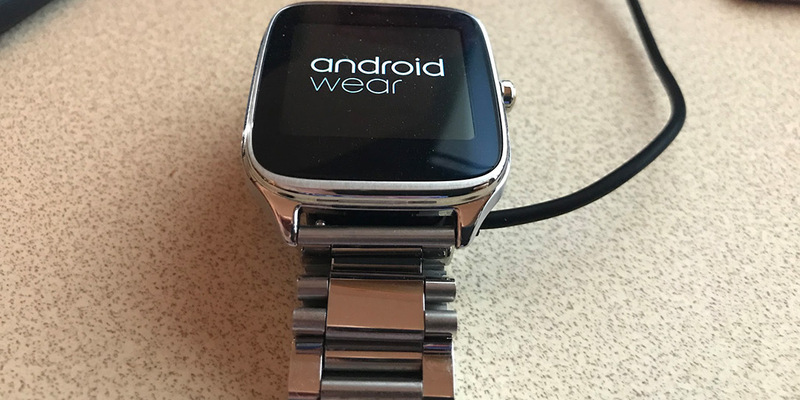 We haven’t actually reviewed or taken a look at the ZenWatch 2, this particular one is my personal watch and the winner should be aware that it will show signs of normal wear. The prize is the ZenWatch 2 with charger and metal band as is, the original band has been discarded as I didn’t like it. The bands for these are pretty cheap on Amazon so you can probably find one there should you want a different one. CONTEST IS CLOSED WINNER HAS BEEN NOTIFIED! Comment ONCE below, telling us why you want a smartwatch. Any other comments will not be considered an entry. Entrants must be in the United States, lower 48 states only. Contest will remain open for 10 days, starting tonight and ending October 27th at 10:00pm EST. Prize is not brand new but my own personal watch and will show signs of use. Not responsible for shipping damage. That’s it! Simple right? Now we know not everyone likes U.S. only giveaways, but we are limited as to what we can do around here. On occasion, if we work with an OEM, they may provide international shipping, but that is something we just can’t do at the moment. So we thank you all for reading and hope we can have more giveaways soon as well as more international giveaways. Thanks so much for entering and PLEASE share the contest, I know it goes against your odds but getting more eyes on the site also helps foster more giveaways!